Israel and Europe may best be described as “in a relationship” that defies casual description. From the Roman assault on Judea and enslavement of much of its population to the revival of Jewish life during the Enlightenment, the Jewish people’s tumultuous history within Europe evolved. Today, there is a vibrant tapestry of thriving trade and exchange between European states and the modern State of Israel. Israel also enjoys excellent bilateral relations with its counterpart European governments. Yet it is no secret that when it comes to EU positions on political issues related to our region, serious disagreements arise. One obvious example is the EU – and Europe’s – softer approach with respect to Iran and its insistence on maintaining the Joint Comprehensive Plan of Action (JCPOA) with Iran. Neither is Israel’s concern a secret when it comes to rising incidents of anti-Semitic rhetoric and attacks against Jews on European soil. European policies on the Arab-Israeli conflict have been a constant source of friction between the two sides. When the United States decided to airlift emergency military supplies to Israel during the 1973 Yom Kippur War, only Portugal provided landing rights to American aircraft, and then only in the Azores, rather than on the European mainland. The European Union began to demand the labeling of Jewish products from the West Bank, which could restrict their commerce, though it overlooked placing the same limitations on trade with states with diplomatically disputed territories, from the Western Sahara to Northern Cyprus. To many Israelis, this looked like a double standard. Finally, the European Union promoted Palestinian construction projects in areas of the West Bank that required Israeli zoning permits, according to the Oslo Agreements, which the European Union itself signed as a witness. When Israel decided to dismantle these illegal structures, particularly if they were located in militarily sensitive areas, EU criticism was voiced. Under such conditions, how could Israel make the European Union a partner in peacemaking and the stabilization of the Middle East? Against these negative trends, from time to time there are indications that Israel and Europe could increase their cooperation in the future. For example, in November 2018, it appeared that Israel, Cyprus, Greece, and Italy were advancing toward an inter-governmental agreement for undertaking a feasibility study on building a pipeline for moving Eastern Mediterranean gas to Europe, which was seeking to diversify its sources of energy. Whether these preliminary studies might lead to new attitudes in Europe remains to be seen. This publication represents the fruits of a first-time initiative. Under the expert eye of our senior fellow Fiamma Nirenstein, the Jerusalem Center convened an unprecedented and distinguished group of academics, authors, and former and current public officials to explore the issues where disagreements exist. In a spirit of trust and good will, discussants offered diverse perspectives on the essence of these issues, and their opinions on how they may be bridged. Too often, as some of our discussants noted, harsh public statements critical of Israel are voiced, while in private, Europeans express near-overwhelming empathy with Israel, with a growing capacity to identify with many of the situations it faces. 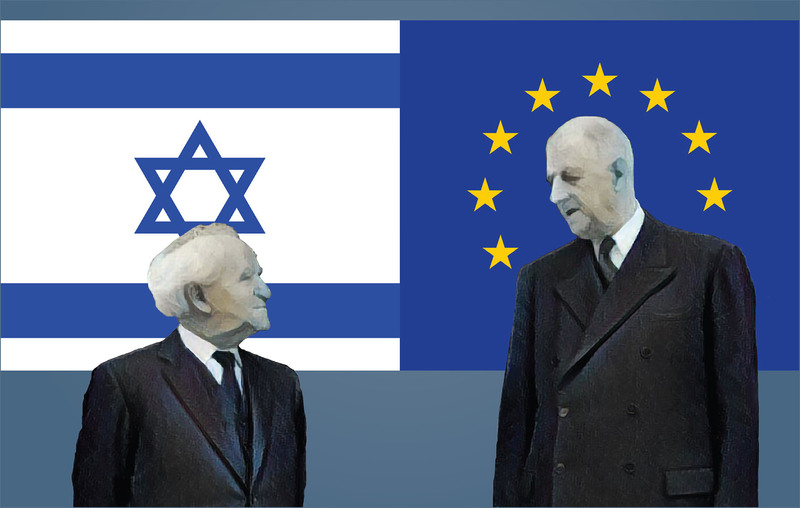 The following essays are presented in the hope that, notwithstanding the complexities of the Europe-Israel relationship, we may develop the path to move these private expressions of understanding to the public sphere.